Simple strategies to get your business started on the internet. The word business is easy to pronounce but when it comes to practice its hard to run and maintain, but you need not to worry. We will try to give you right info to startup your own online store,website or even an information page on social networks. Few steps you have to keep in mind in order to start a new business. 1) Register your business with your countries registration firm. It is a very important and root of your business. So you have planted a seed in a legal way following rules and regulations of your countries law, now your turn is to just feed it and help it grow. 2) Register for a domain and web hosting platform. Companies like Godaddy,Shopify,Wix.com provides excellent services and have their own pros and cons. If you are looking for an online store and have tight budget i would recommend Shopify. Now why Shopify because i myself have tried most of the online store but in order to achieve progress in less time either you have to be an expert or a pro. Shopify gives you an excellent platform where you can design your dream the way you like in order to present a fresh look to your customers. 3) Once you have domain name and web hosting platform setup you can start designing your website the way you like. Most of the web platform now a days provide you with easy templates and themes, that you do not need to have any html or any language skills. They will provide you with easy step by step guide on how to create one. You can join the trail versions or can go for a premium version if you wish to continue ahead with your goals. Security plays an important part in any business make sure you have a trust seal on your website means an SSL certificate which assures your customers that you are seriously concerned about their privacy and security. If your URL starts with http:// it means your web page is not secure and it will automatically decrease your potential sales. 4) Once your web package is ready to deliver make sure you do not forget to list your business on Google webmaster and Bing webmaster. These two big search engine giants will make sure you are also present in the market with you own products and services to offer to people. 5) Join the social media networks to link to your community, groups, family and friends. There are lots of social media networks out there who will let you have a free account, just join as many networks you would like to join as this will help and maintain your presence among social media groups and will bring you more organic traffic in the long run. List of recommended social media networks you can join to maintain your social media network. It is not a joke, my website https://www.cagetech.com.au received about 35% traffic only from Facebook referrals about 1163 referrals in total seven days. 6) Website submission is also most important and crucial part for the development of your business and list you on the top of Google search ranking. There are number of websites which provides you with free opportunities to list your website on their website database. Some of them can be found listed below which can help you get more website traffic and increase sales.We have combined a list of websites which help you rank high for free. My experience in this industry says that do not opt or pay for the services till the time you are not satisfied with the results yourselves. These listed websites about will make sure you are found on Google and other major search engines and directories. 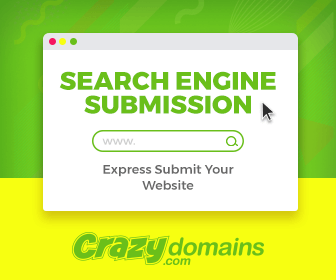 If you are not satisfied with any of services listed above than why not try website submission on 81 top ranking search engines on our website. 7) Marketing is an important tactics who generates you about 90% overall revenue if it is done properly. It not only increases your sales but also build your strong customer base for a long run. There are many marketing companies out there which can promote your business on a large scale or smaller scale depending upon your budget. I would personally recommend Facebook,Bing,Google,Instagram as you can not only create an Ad but you also have opportunities to target specific demographic locations, keywords, interests and much more. Your ad are optimized atomically to give you more specific results. Now you have come a long way in your business startup you only have to devote some time everyday in order to update your website content so that google can categories your business in to top results and can give you effective results and help you improve your total sales and earn more revenue. If you are running an online store we recommend you to test test test your products before listing them on your website. It will off course take time and money to give you better results. Its not a one day job but it will take some time to generate better outcome. Loosing hope is not key to success, so you need to be strongly determined towards your goals that you want achieve. Success will be at your door steps, but you have to put some hard work and your time in order to achieve results. If you like our post please like and also share with your friends or you can create a new account on our website at https://www.cagetech.com.au for future posts and deals in our store.